This morning, August 27th, shortly after midnight Beaver Twp. was called to a crash involving a car vs ambulance. The ambulance turned out to be one of yours. A driver veered left of center, striking the ambulance head on. Both vehicles caught fire. The ambulance crew, despite I am sure being disoriented and shaken up after airbag deployment immediately grasped the situation and how critical it was. They rushed to the man who had just hit them and found him unresponsive with an open compound femur fracture. They proceeded to extricate him from the vehicle and move him to safety along a nearby building. Upon arrival some five minutes after the call came in, I discovered your crew working to stabilize the other driver. One of my EMS arrived at the same time and with basic equipment carried on my command vehicle, they began to stabilize the patient until my ambulance arrived. I have no doubt that their quick action saved the life of the driver who would have surely burned to death in the vehicle. Even if he had been conscious his severe injuries would have prevented self extrication. The car and front of the ambulance were totally engulfed prior to any fire units arriving. I have great respect for the two individuals who selflessly at their own risk saved a man who very nearly killed them minutes before. Please convey a “Well Done” to both of the crew from all the members of the Beaver Township Fire Department, we are proud to have you in our profession and community. “Best Class Ever”, “Very Informative”, “Awesome Instructor”….. 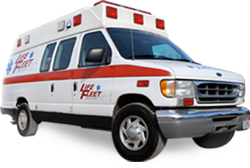 These are comments we have received about Lifefleet’s CPR/1st Aid Instructors.